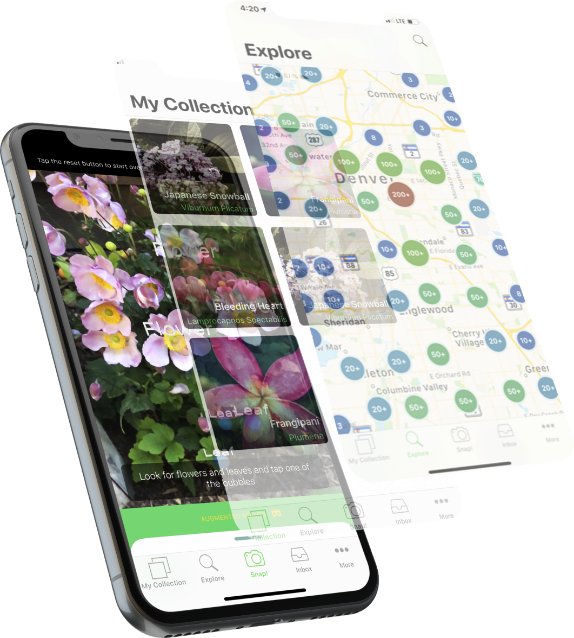 The PlantSnap Service helps you identify plants, flowers and trees through image recognition technology. We use photographs submitted by you to provide the Service. You acknowledge that Provider disclaims any responsibility for, or liability related to, your use of the Service (see “Disclaimer of Warranties” below). You may never rely on the Service to determine whether any plant, flower, tree or any other substance is safe to eat or otherwise consume and Provider hereby specifically disclaims any responsibility for, or liability related to, your use of the Service for this purpose. Use of the Service may be available through a compatible Internet browser or mobile device and may require network connections and software. You agree that you are solely responsible for these requirements, including any applicable changes, updates and fees as well as the terms of your agreement with your mobile device and telecommunications provider. You are only entitled to access and use the Service for lawful purposes. You agree that Provider may use your feedback, suggestions, or ideas in any way, including in future modifications of the Service, other products or services, advertising or marketing materials. You grant Provider a perpetual, worldwide, fully-transferable, sub-licensable, irrevocable, fully paid-up, royalty-free license to use the feedback you provide to Provider in any way. You further agree that you will not: (i) use any robot, spider, scraper, deep link or other similar automated data gathering or extraction tools, program, algorithm or methodology to access, acquire, copy or monitor the Service or any portion of the Service; (ii) post or transmit any file which contains viruses, worms, Trojan horses or any other contaminating or destructive features, or that otherwise interfere with the proper working of Provider or the Service; or (iii) attempt to decipher, decompile, disassemble, or reverse-engineer any of the software comprising or in any way making up a part of the Service. Your access to and use of the Service is subject to all applicable international, federal, state and local laws and regulations. You represent and warrant that you will not use the Service in any manner or for any purposes that are unlawful or prohibited by this Agreement. The Service is not targeted towards, nor intended for use by, anyone under the age of 18. By using the Service, you represent and warrant that you are 18 years of age or older. If you are not at least 18 years of age, do not use, access, or register for the Service. Provider reserves the right to terminate your membership in the event that Provider becomes aware you are under 18. To post photographs and otherwise use the Service, you must first register by creating a User Account. You should take measures to maintain and preserve the confidentiality of the username and password associated with your User Account, and you must notify Provider promptly of any unauthorized use or suspected breach of security of your User Account. Provider shall not be liable for any losses that may result from any unauthorized use of your User Account or failure to maintain appropriate confidentiality measures. You agree not to disclose your password to any third party and to take sole responsibility for any activities or actions under your User Account, whether or not you have authorized such activities or actions. Provider owns your User Account credentials and may revoke or change them at any time. By using the Service, you may choose to submit information, data, passwords, usernames, PINs, other log-in information, as well as photographs of plants, flowers and trees (collectively, the “User Content”). You expressly agree that you shall not post any User Content: (i) that infringes or misappropriates any third party’s copyright, patent, trademark, trade secret or other proprietary rights or rights of publicity or privacy; (ii) that violates any law, statute, ordinance or regulation (including, but not limited to, those governing export control, consumer protection, unfair competition, anti-discrimination or false advertising); (iii) that is or may reasonably be considered to be defamatory, libelous, hateful, racially or religiously biased or offensive, unlawfully threatening or unlawfully harassing to any individual, partnership or corporation; pornographic or obscene (iv) that contains individually identifiable health information subject to the HIPPA Privacy Rule; (v) that violates any other agreement you may have entered into with a third party; or (vi) that contains any computer viruses, worms or other potentially damaging computer programs or files. By submitting User Content to Provider through the Service, you grant a non-exclusive, sub-licenseable, perpetual, worldwide license to any and all User Content to Provider and any affiliate and successor entities for the purpose of providing the Service, or any similar services at Provider’s, its affiliate’s or successor’s sole discretion. Provider may use and store the User Content, but only to provide the Service to you or related to its license provided by you as stated above. By submitting this User Content to Provider, you represent that you are entitled to submit it to Provider for use for this purpose, without any obligation by Provider to pay any fees or other limitations. Unless otherwise noted, all text, images, graphics, photographs, video clips, designs, icons, sounds, information, data, and other materials appearing on the Service which are not User Content (the “Provider Content”) and all methods, methodologies, procedures, processes, know-how, software, algorithms, techniques, and other technology (the “Technology”) displayed, used, or incorporated on the Service by Provider are copyrights, trademarks, service marks, trade secrets, or other intellectual property or proprietary content owned or licensed by Provider. You may use the available Provider Content and Technology only for your own personal use and internal business purposes, but you may not reverse-engineer or decompile any of the Technology. You may print a copy of available Provider Content solely for such purposes, but you may not remove any copyright, trademark or other notice displayed on the corresponding webpage or print-out. You may not use the available Provider Content and Technology on behalf of any third party or as part of a managed service. You may not distribute, publish, transmit, modify, create derivative works from, or in any way exploit, any of the available Provider Content and Technology, in whole or in part, for any purpose without the express written permission of Provider or the respective owner. Nothing in this Agreement shall be construed as granting any permission (except as set forth in this paragraph), right, or license in any of the Provider Content or Technology. All intellectual property rights are fully reserved by Provider and any third party owners of those rights. ALL PRODUCTS, SERVICES, INFORMATION, DATA, TEXT, USER CONTENT, PROVIDER CONTENT, TECHNOLOGY, AND RELATED GRAPHICS CONTAINED WITHIN OR AVAILABLE THROUGH THE SERVICE ARE PROVIDED TO YOU ON AN “AS IS” AND “AS AVAILABLE” BASIS. PROVIDER MAKES NO REPRESENTATIONS OR WARRANTIES OF ANY KIND, EITHER EXPRESS OR IMPLIED, AS TO THE OPERATION OF THE SERVICE. WITHOUT LIMITING THE FOREGOING, PROVIDER DOES NOT WARRANT OR REPRESENT THAT THE SERVICE WILL OPERATE ERROR-FREE OR UNINTERRUPTED, THAT DEFECTS WILL BE CORRECTED, OR THAT THE SERVICE AND ITS SERVERS WILL BE FREE OF VIRUSES AND OTHER HARMFUL COMPONENTS. TO THE FULLEST EXTENT PERMISSIBLE PURSUANT TO APPLICABLE LAW, PROVIDER DISCLAIMS ALL REPRESENTATIONS AND WARRANTIES OF ANY KIND, EITHER EXPRESS OR IMPLIED, INCLUDING, BUT NOT LIMITED TO, THE IMPLIED WARRANTIES OF (I) MERCHANTABILITY, (II) FITNESS FOR A PARTICULAR PURPOSE, (III) NON-INFRINGEMENT OF THE RIGHTS OF THIRD PARTIES. In no event shall Provider be liable to you or any other person or entity for any direct, indirect, incidental, special, consequential, punitive, or other such damages, including but not limited to any damages associated with: (i) loss of goodwill, profits, business interruption, or data, or other such losses; (ii) your inability to use the Service, any unauthorized use of the Service, or any function of the Service or failure of the Service to function; (iii) the provision of or failure to provide any service though the Service; (iv) errors or inaccuracies in the User Content, Provider Content, Technology, or any advertising or other information, software, products, services, and related graphics used, viewed, or obtained through the Service; or (v) any property loss including damage to your computer or computer system caused by viruses or other harmful components encountered during or on account of access to or use of this Service or any third-party website linked to this Service. These limitations of liability shall apply regardless of the form of action, whether based in contract, negligence, strict liability, other tort, or otherwise, and even if Provider has been advised of the possibility of any particular damages. To the extent you allege or assert any damages associated with the Service which are not excluded by the foregoing, then Provider’s liability (and that of its agents, licensors, or service providers) for such damages shall not exceed one hundred dollars ($100.00 USD). including any warranty you provide herein, or otherwise resulting in any way from your use of the Service. These Terms and the relationship between you and Provider will be governed by the laws of the State of Colorado (or applicable federal law), without regard to its conflict of law provisions. You agree to submit to the personal jurisdiction of the state and federal courts located in Connecticut, and waive any objections thereto. You further agree that any dispute arising from or related to your use of the Service must be brought exclusively in the state or federal courts located in [insert name of county, Colorado]. You expressly consent to the personal jurisdiction of such courts and waive all objections hereto. If any provision of this Agreement shall be determined to be void or unenforceable in whole or in part, the remaining provisions of this Agreement shall not be affected thereby and shall remain in force and effect. The term of this Agreement shall commence upon your first use of the Service, and shall continue (i) as long as you or any persons given access by you retain access rights to the Service, or (ii) until Provider ceases to operate the Service or closes your User Account. Provider shall not have any ongoing obligation to provide the Service; thus, Provider may cease to operate the Service at any time and for any reason. Without limiting the foregoing, Provider may cease to provide your User Account in the event of: (i) any dispute or termination of Provider’s relationship with you; (ii) any dispute concerning ownership or control of your User Account; or (iii) use of your User Account in a manner that Provider, in its sole discretion, considers improper or unacceptable. Provider reserves the right to limit the period of time during which Provider may make any User Content pertaining to you available on the Service. The Service should not be viewed as your backup, archival or storage service with respect to any User Content.